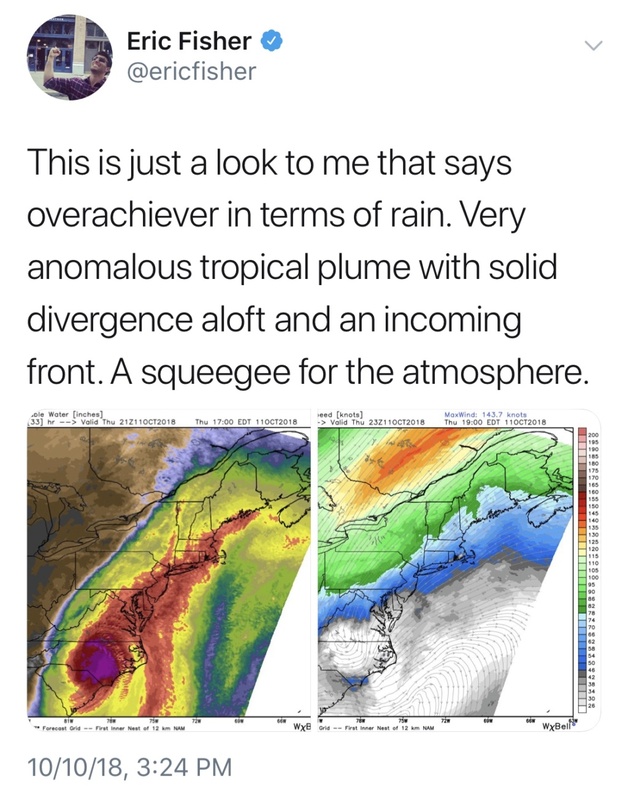 Yeah, unfortunately my earlier hypothesis regarding the alteration of the environmental low-level pressure anomalies working to destructively interfere with the strengthening process appears off course, and this storm is gonna barrel in at maximum intensity. I hope these people are ok in the end. While it’s a great meteorological phenomenon to observe and learning experience for me, it’s a worst nightmare for everybody in its path. Personal gains aside, I was really hoping the idea of decreasing in intensity would have merit. For what it's worth, 12z NAM is further north and brings heavy rain bands over CNJ. 4-5" of rain in some places. Eyewall growing I think could mean more intensification? I say in 10 min 11am is a cat 5 or very close Jesus 926mb. Goshhelp all down there. its going to be bad there but not like Florida. By midnight he could be approaching sc so there may even b cancellations. Sanchize06 wrote: For what it's worth, 12z NAM is further north and brings heavy rain bands over CNJ. 4-5" of rain in some places. Jesus christ. Pray for anyone in its path. Insane nearly at landfall lets hope this is the top. But gusts will be into 170s prolly that's go cause a ton of destruction not to mention the water impacts. The cone nudged north a tad once exiting the coast. We will see if wpc ups rains for us at all. Pray for Florida. minimum pressure has fallen to 923 mb (27.26 inches). 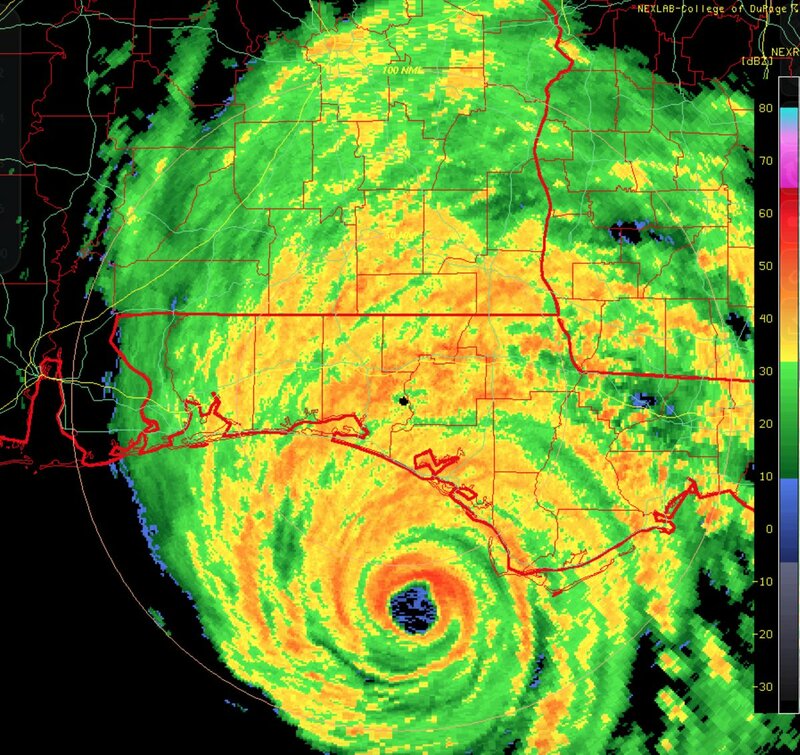 Extrapolated MSLP has fallen below 920 hPa in #Michael following yet another mesovort merger in the eyewall of the storm, which is what you'd expect given my earlier tweets. Notice the wave #4 mesovort structure has eroded in the last several frames in concert w/ the MSLP falls. Omg 919mb!! Scott 901mb wasn't that far off!! 12z HMON. Looks like models coming a little further north at 12z. Jersey Shore and Eastern LI should still be paying attention for some heavy rainfall totals. Michael's more or less a CAT 5 storm. I'm sure when all is said and done the NHC will make it official. NHC will reanalyze this and up him to CAT 5 I'm pressure and winds meet this criteria. SNJ needs to watch out cause he may cause affects tomorrow night. He isn't slowing down pressure wise even after landfalk, this is remarkable. FLASH FLOOD WATCH just issued area-wide for NYC Metro ahead of intense cold front + tropical moisture from Michael. Video of stadium effect from inside eye of hurricane. SoulSingMG wrote: FLASH FLOOD WATCH just issued area-wide for NYC Metro ahead of intense cold front + tropical moisture from Michael. don't be surprised to see stronger effects up here than expected. Especially rain wise. 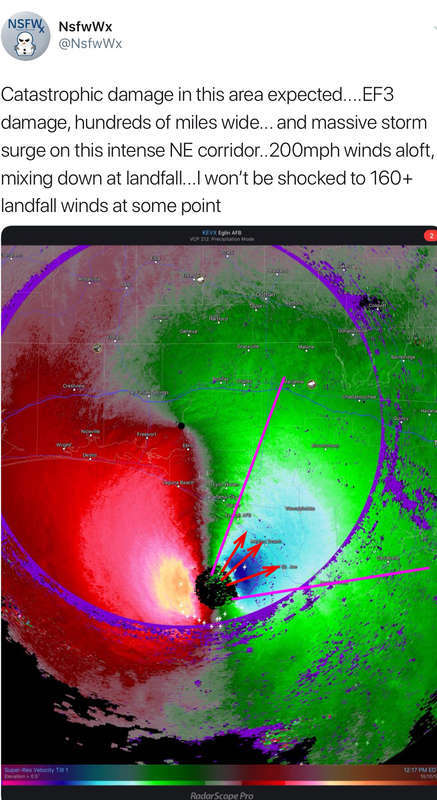 Also remember banding has a lot tornados potential.